billion compared with 139 billion in 2017.
income reduced from N118.2 billion to N93.5 billion. Market operators said with higher interim dividend, shareholders should expect a higher final dividend at the end of the year. The bank had paid a total dividend of N2.70 per share for 2017. The Chairman of the bank, Mr. Jim Ovia, had told shareholders at the annual general(AGM) last despite the challenging operating environment, the bank was able to achieve improved performance in its financial results in 2017. He said profit before tax rose by 24 per cent from N140bn in 2016 to N174bn in 2017, while total assets of the bank grew by 13 per cent from N4.28tn in 2016 to N4.83tn in 2017. “This translated into an excellent performance that stands as a testament to the durability and resilience of the brand. Clearly, the results are once again a reflection of the exceptional financial health of the bank and the group,” he said. 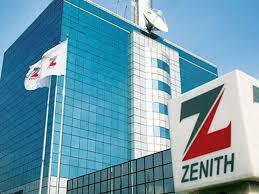 Speaking in the same vein, the Group Managing Director, Zenith Bank Plc, Mr. Peter Amangbo, said the management of the bank had made progress in its vision to entrench sustainability in its operations. He had said the management of the bank would increase the quality of its engagement and be more proactive by anticipating fluctuations in the economy and markets.